Hello Katie Girl: Meet William! We traveled thousands of miles to get him from a breeder in Kentucky. 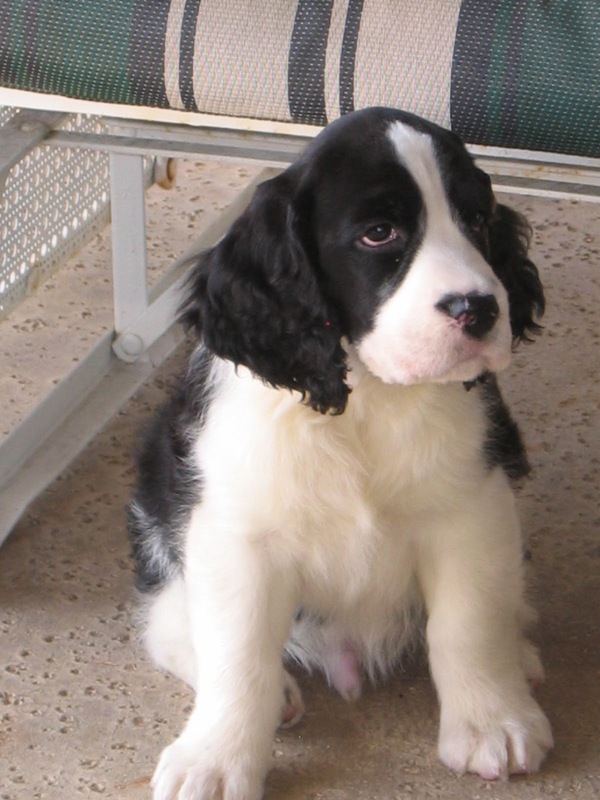 He is an English Springer Spaniel. Did you know that his great great granddaddy won Best in Show at Westminster in 1993? His full name is Colonel William van Winkle the Bard of Bardstown. It is a mouthful, right? We just call him William for short, which is fine by him. You might be wondering how we devised such a name? Well, my husband ordered Pappy van Winkle bourbon at the Saint Charles Exchange in Louisville. We jokingly said that this was what we would name our dog after this. Later, when visiting Bardstown to pick up William we learned some of the history behind the quaint and lovely town. The founder of Bardstown was a gentleman by the name of William Bard. Given this, the name William just seemed to stick. So we replaced Pappy with William. Since William is also the name of William Shakespeare, we decided that he was a bard...get it?! And the colonel? Well that just sounded cool and southern.